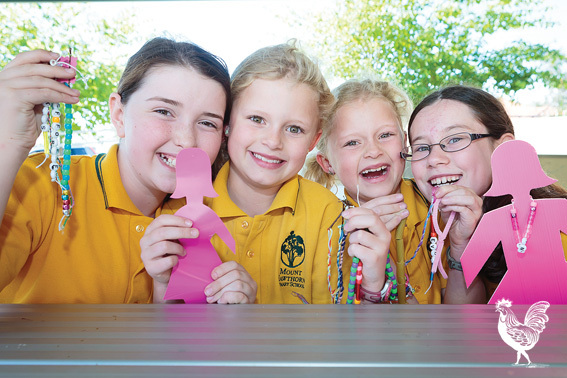 Budding ateliers at Mt Hawthorn primary school have been making their own jewellery to raise money for breast cancer awareness month. So far they’ve been selling their bracelets, hair braids and clips at pop up stands before and after school. Mia Cahill says at their first pop up they raised $35 for the cause and that encouraged them to keep going. They’re now working hard to have lots of pieces ready to sell at the breast cancer network stall at the Mt Hawthorn community fair November 9, 1–7pm.